What Help Scout Triggers and Actions are Supported? Conversation Created - Triggers when a new conversation is created. Create Conversation - Creates conversation including tags and custom fields (only with Help Scout's Plus plan). Select mailbox to see custom fields. Create Customer - Creates a customer, optionally with all available customer entries (emails, phones, chat handles, social profiles and address). Add Note - Adds a note to existing conversation. Send Reply - Replies to a conversation. Please note that this will send actual email to the customer unless draft flag is used. Find Mailbox - Find mailbox by name. Get Custom Report - Get a user's support metrics over a given time range. Find Conversation - Find existing conversation using the supplied values. In case there are more conversations matching the criteria, the most recently updated one is selected. Find Customer - Finds customer by email. Find User - Finds user by email. Get Week Report - Get a user's support metrics for the current week. Get Day Report - Get a user's support metrics for the current day. 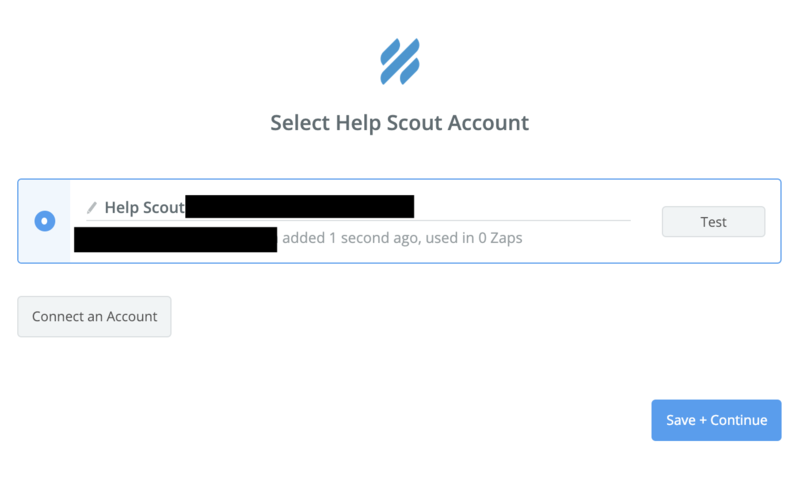 When you start creating a Help Scout Zap, you will be asked to connect your Help Scout account. 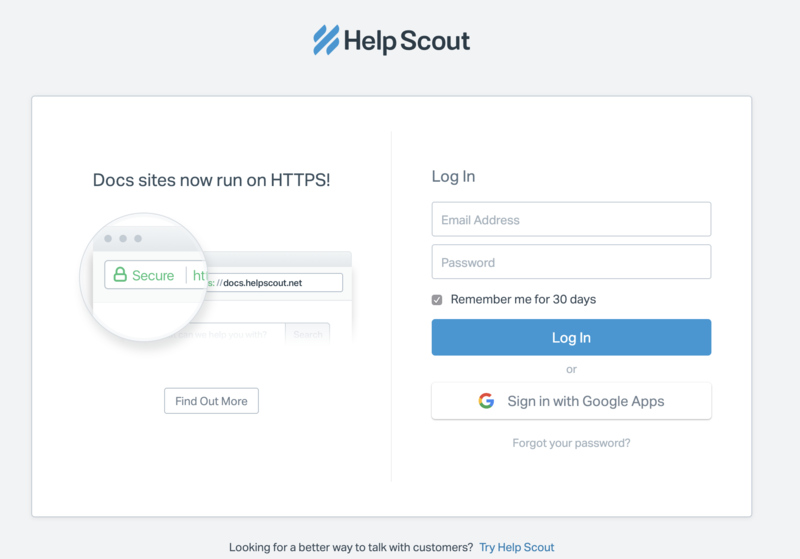 You’ll now be asked to log into your Help Scout account (unless you are already logged in). 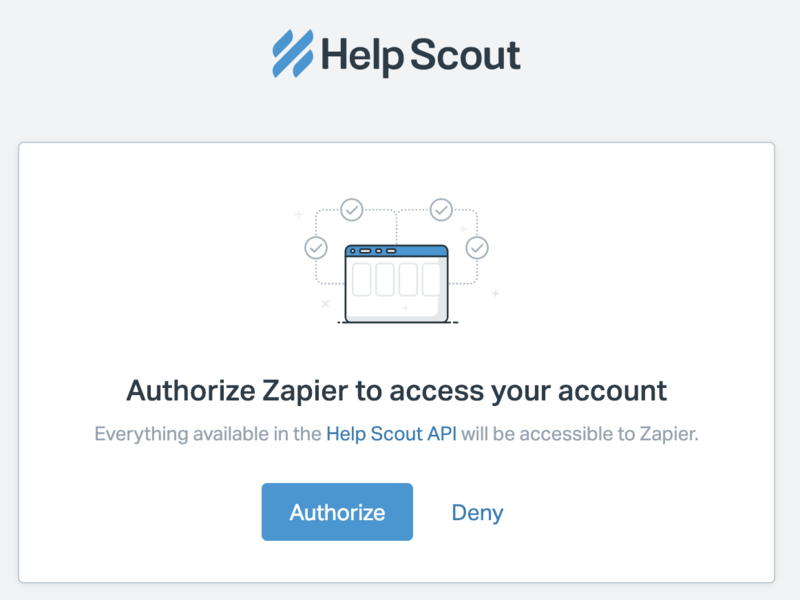 Next you will be asked to let Zapier access your Help Scout account, click Authorize. If all steps were successful your Help Scout account will now be successfully connected. When using the New Customer trigger, although an 'Items Email' field may appear as an option for your action step, Help Scout does not send us the email address of the new customer.